Are you training for your next sports event or struggling with an old injury? Do you feel inflexible and experience muscle tension and ache? If so, you can benefit from a Sport & Remedial Massage treatment. Also known as Soft Tissue massage, this therapy is the assessment, treatment and management of muscle, fascia, connective tissue, tendons and ligaments injuries, pain and dysfunction. As part of the treatment we will explore areas of restriction / dysfunction, range of motion, proprioception and coordination testing, review of your stretches, warming up and cooling down routines, as well as advice on remedial exercises to help improve your performance. Your first treatment will be at least 1 hour long. After discussing your concerns and a brief assessment, we will start with the sports massage treatment. A blend of massage therapy and techniques such as neuromuscular, soft tissue release, muscle energy, fascia release, acupressure and trigger points therapy may be used to achieve the best results. Medical acupuncture and kinesio taping is also available. We will end the treatment by showing you a couple of stretches to take away with you so to help yourself at home. Following appointments may be 1 hour or ½ hour long depending on the response to the previous treatment. As a long time sufferer of lower back, tight shoulder and neck muscle discomfort finding a professional to treat and relieve the pressure with clinical sport and deep tissue massage was a great relief. 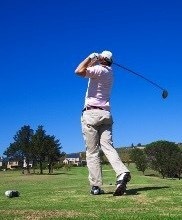 Whether golfing, working at a computer or, heavy gardening, I found muscle tightness an issue. A three weekly visit to Felicia during the past four years has proved an enormous benefit leaving me less tense and more flexible. Long may my treatment continue which I recommend to all fellow sufferers.